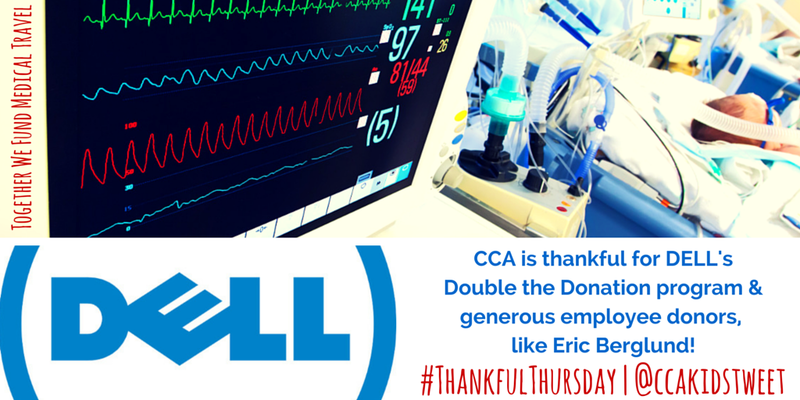 This #ThankfulThursday, CCA is thankful for the Dell Double the Donation employee giving program that matches employees' donations to CCA. Thank you for doubling the impact of generous employees, like Eric Berglund. Together, we serve more families affected by facial differences, including financial assistance for quality medical care! Check to see if your employer matches donations here. If they don't, you can ask them to! If you're interested in matching your employees' donations, contact Jill at the CCA office.